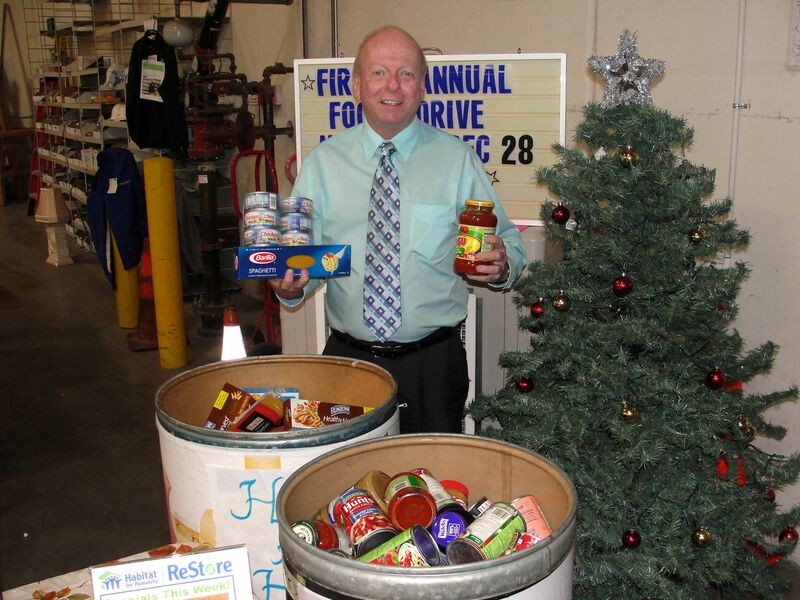 (Redlands, CA) Habitat for Humanity San Bernardino Area has partnered with Second Harvest for its holiday Food Drive. The people who want to help the less fortunate are asked to drop off non-perishable canned and boxed food items the Habitat for Humanity ReStore located at 25948 Business Center Drive in Redlands from now till December 28. People that bring any three non-perishable canned or boxed items the ReStore will receive a coupon that can be used instantly or on a future purchase,” said Habitat for Humanity ReStore Manager Jon Biggs. For extra savings Biggs offers customers that bring the items listed below an extra five percent off their purchase in addition to the coupon. “On Tuna Tuesday bring tuna, for Wheaties Wednesday bring full size boxes of cereal, on Throwback Thursday bring macaroni and cheese and/or peanut butter and jelly, on Funky Friday bring spam and sardines, and on spaghetti Saturday bring spaghetti sauce and pasta,” said Biggs. Coupons will be limited to one per day, per customer and can be redeemed until Jan. 31, 2014. “We see this as a fun way for people to help the hungry and at the same time help Habitat for Humanity build more homes,” said Executive Director Dennis Baxter. The Habitat for Humanity San Bernardino chapter serves San Bernardino County communities between Fontana and Yucaipa, as well as the Mountain Communities of Running Springs, Lake Arrowhead, and Crestline, and the Upper Desert towns of Hesperia, Apple Valley and Victorville. Habitat for Humanity currently has plans to build seven homes in San Bernardino and Grand Terrace for families making less than $50,950 a year for a family of four. The homeowners will be able to add their personal touches on these homes by choosing paint colors, flooring carpeting. To make a donation or for more information, go online to www.habitatsb.org, or call Habitat for Humanity (909) 478-1176.